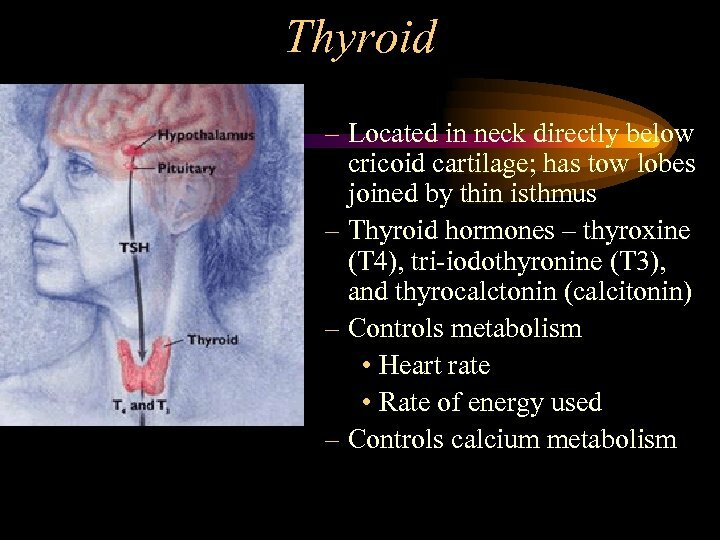 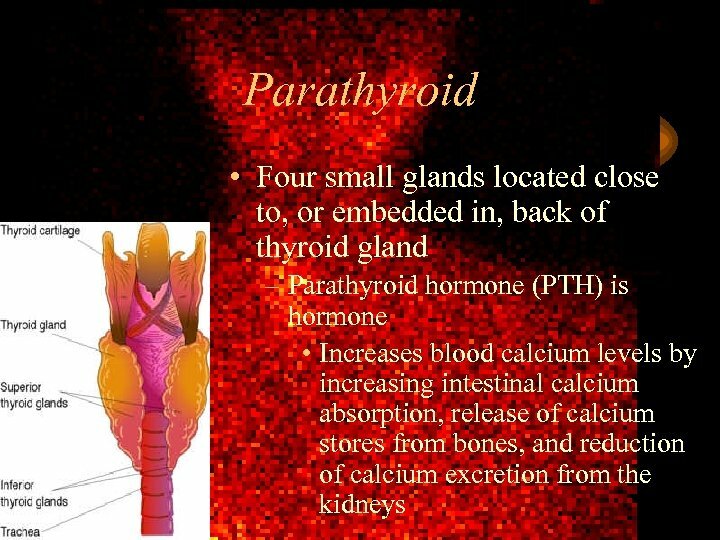 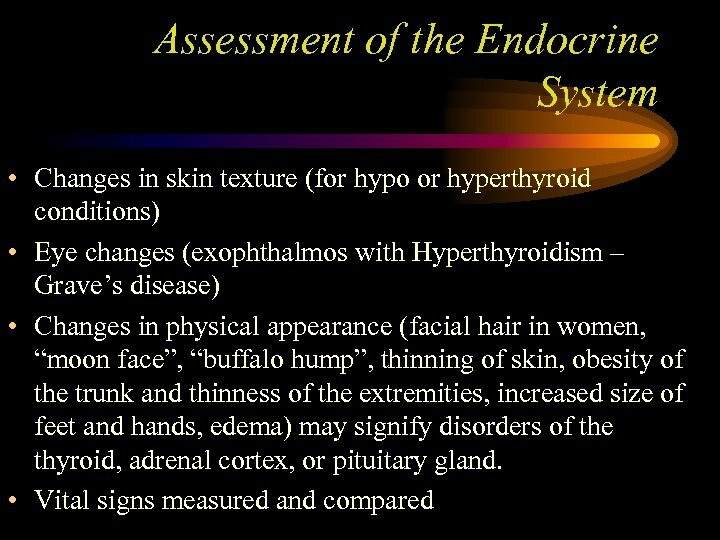 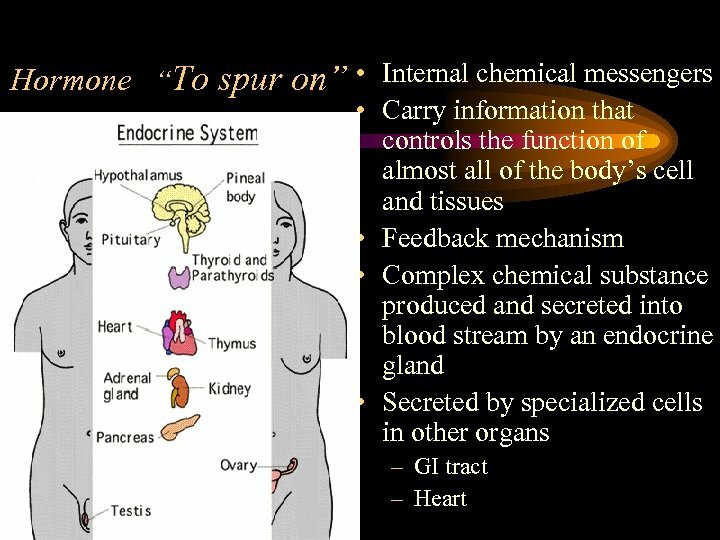 The endocrine system • Chemicals known as hormones are used to “communicate”. 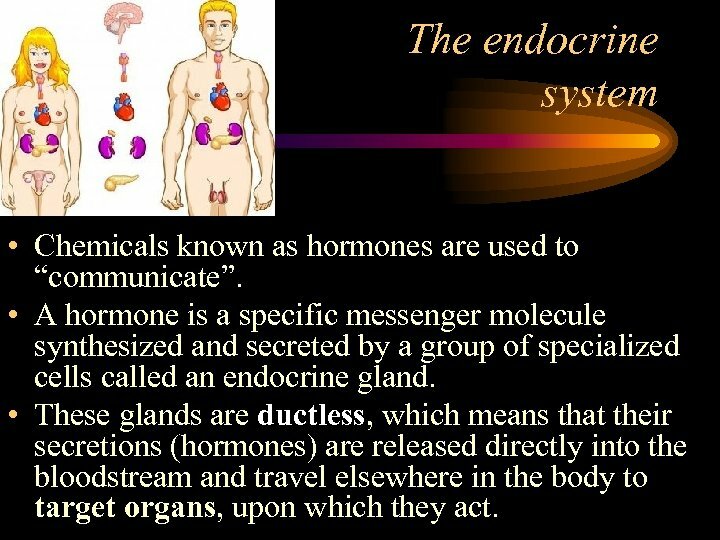 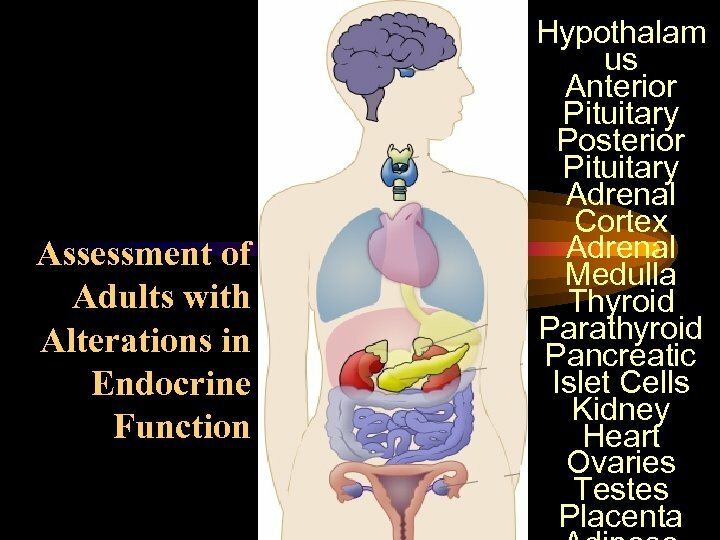 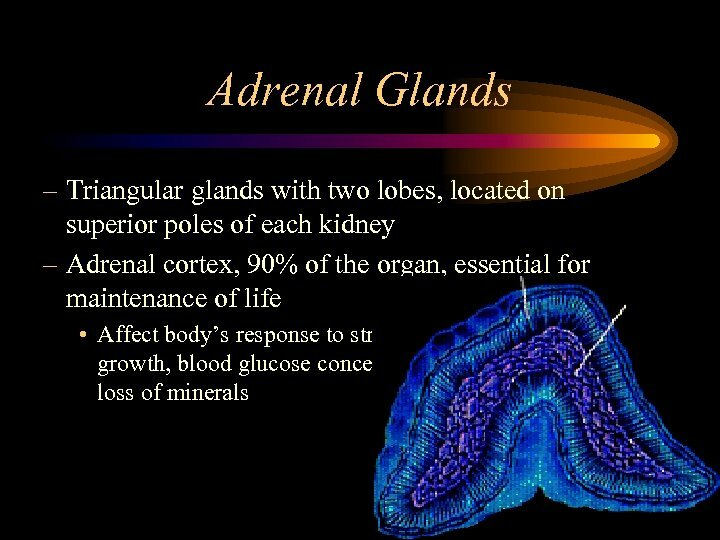 • A hormone is a specific messenger molecule synthesized and secreted by a group of specialized cells called an endocrine gland. 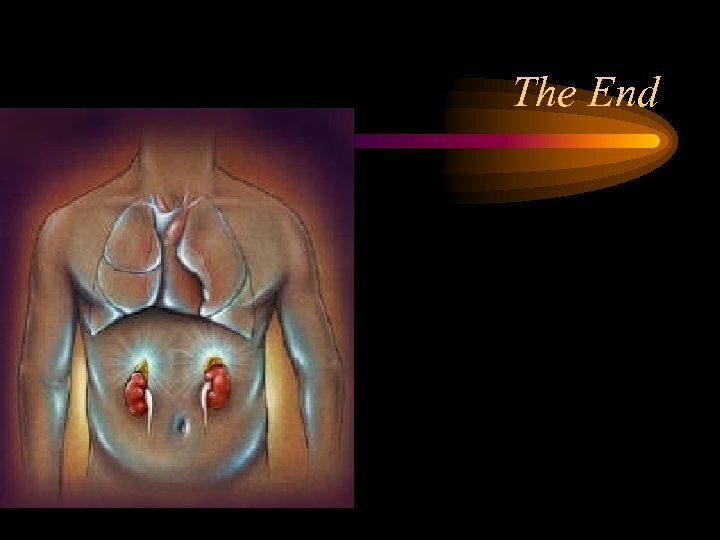 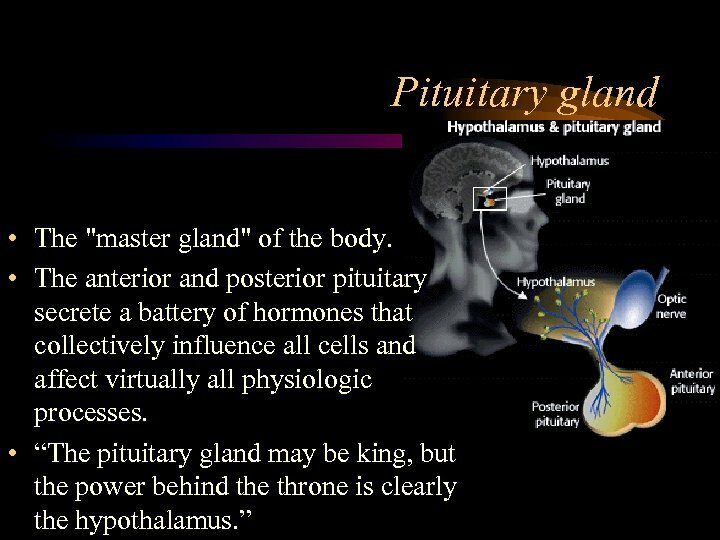 • These glands are ductless, which means that their secretions (hormones) are released directly into the bloodstream and travel elsewhere in the body to target organs, upon which they act. 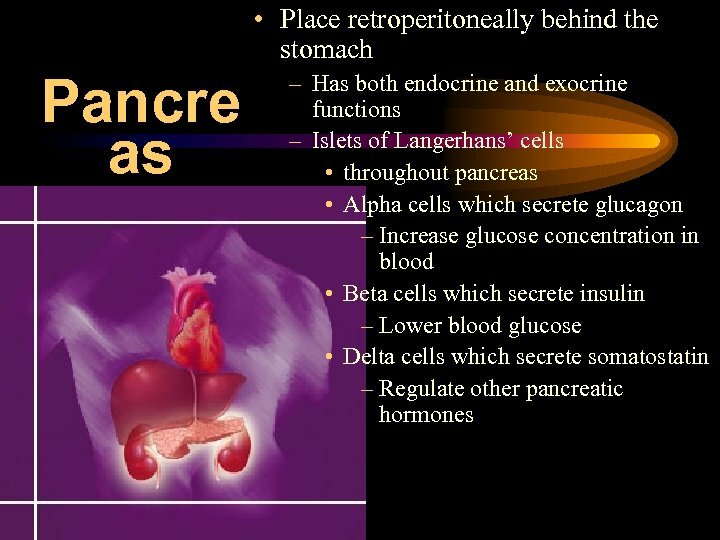 Insulin lowers the blood sugar level by instructing the liver to take glucose out of circulation and store it, while glucagon instructs the liver to release some of its stored supply to raise the blood sugar level. 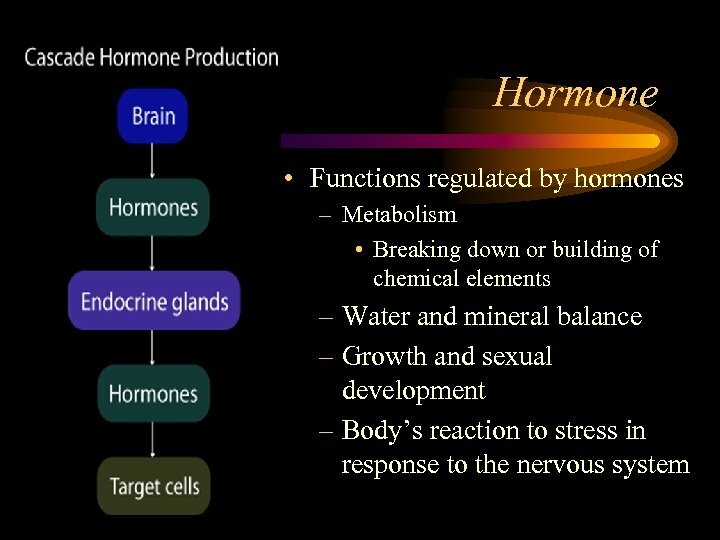 Hormones • Each hormone’s shape is specific and can be recognized by the corresponding target cells. 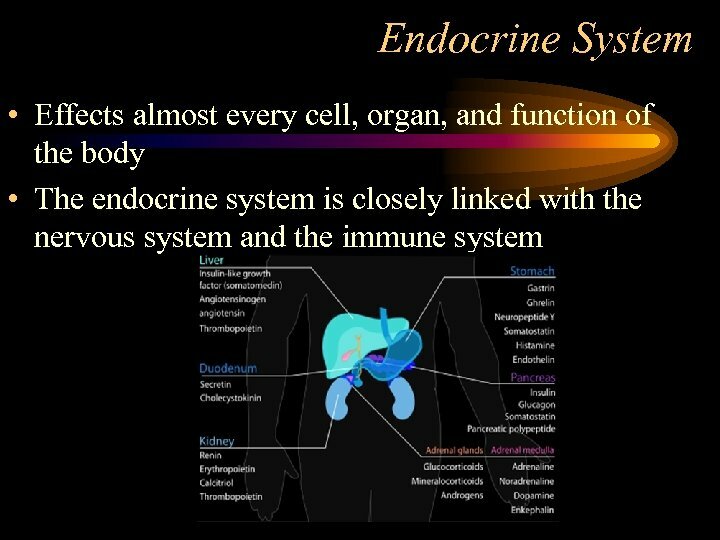 • The binding sites on the target cells are called hormone receptors. 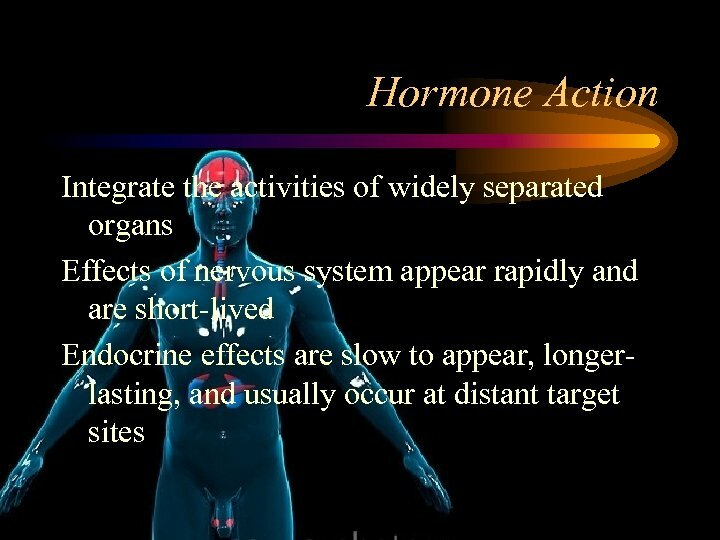 • Many hormones come in antagonistic pairs that have opposite effects on the target organs. 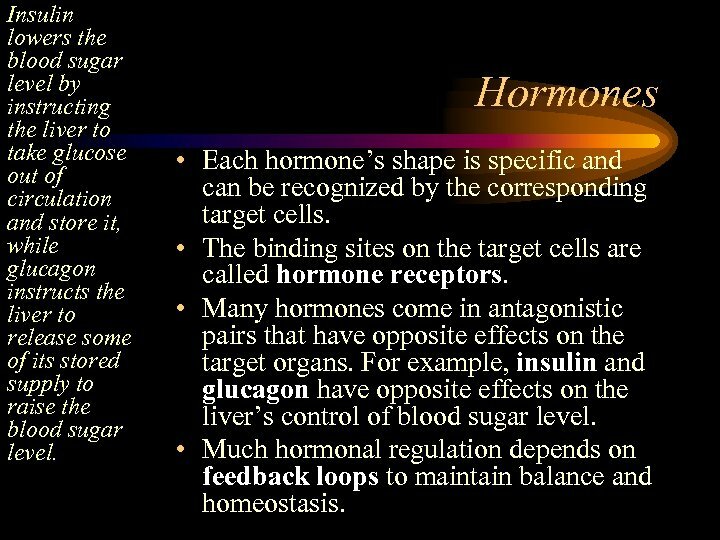 For example, insulin and glucagon have opposite effects on the liver’s control of blood sugar level. 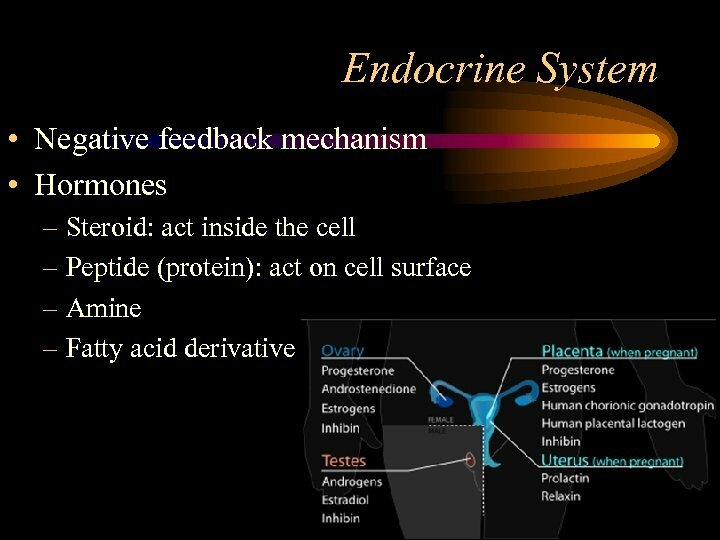 • Much hormonal regulation depends on feedback loops to maintain balance and homeostasis. 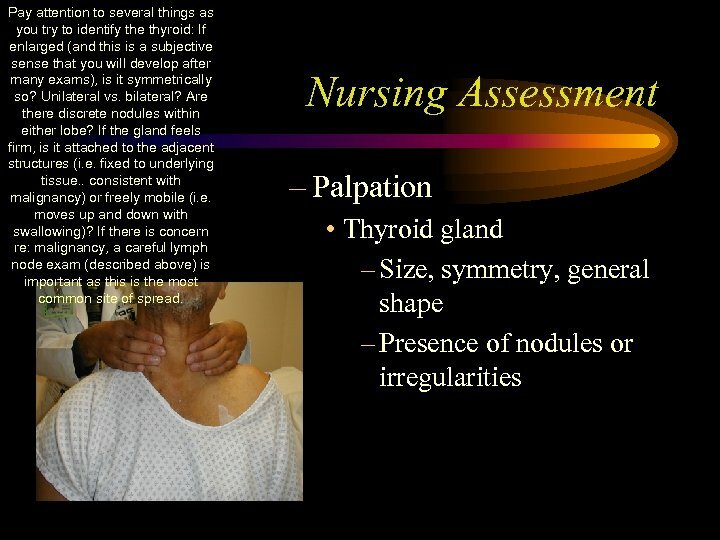 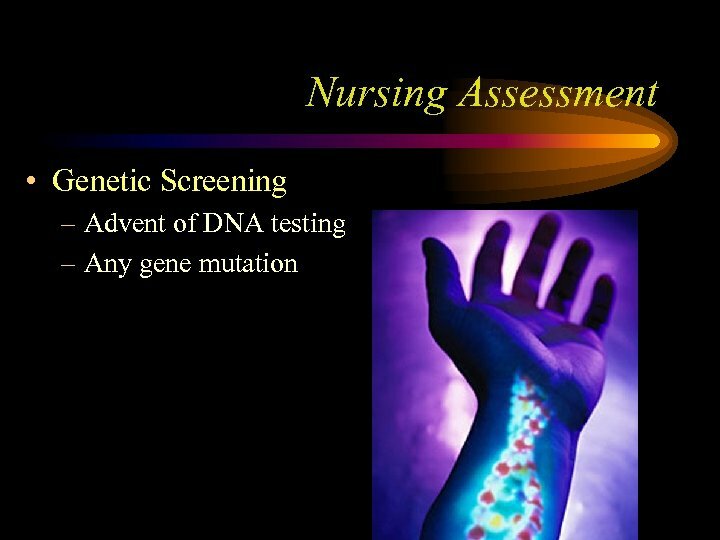 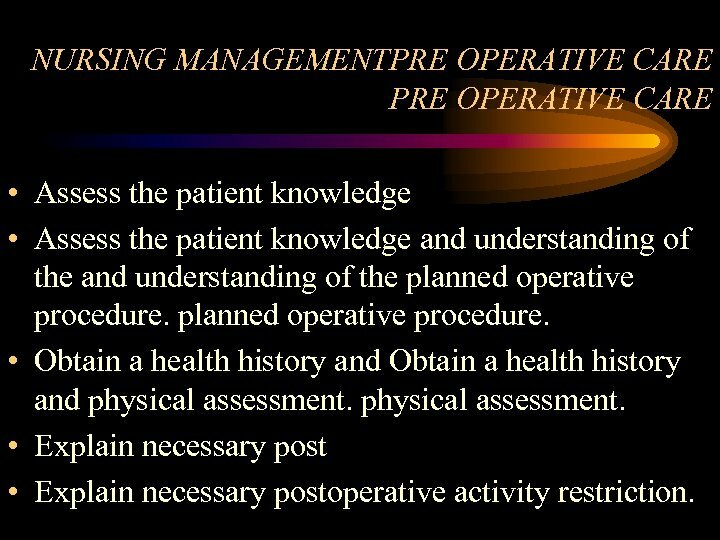 NURSING MANAGEMENTPRE OPERATIVE CARE • Assess the patient knowledge and understanding of the planned operative procedure. 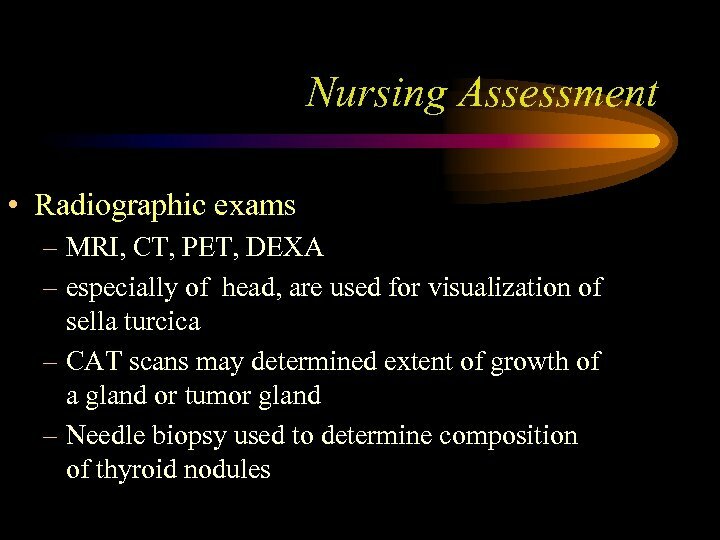 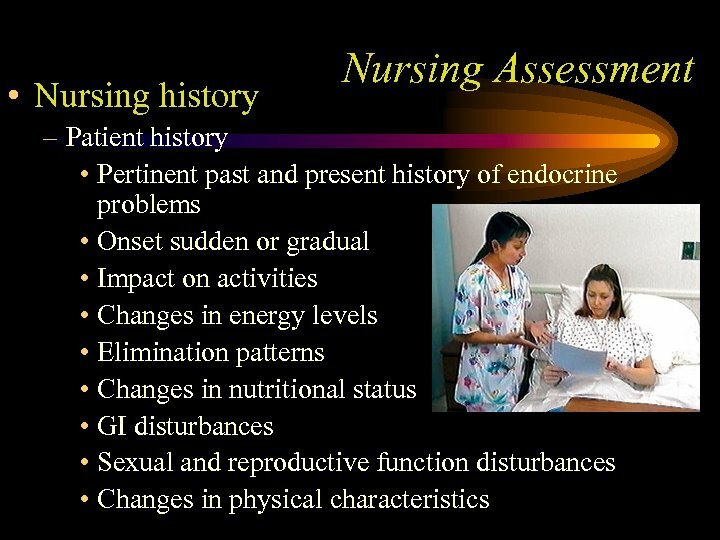 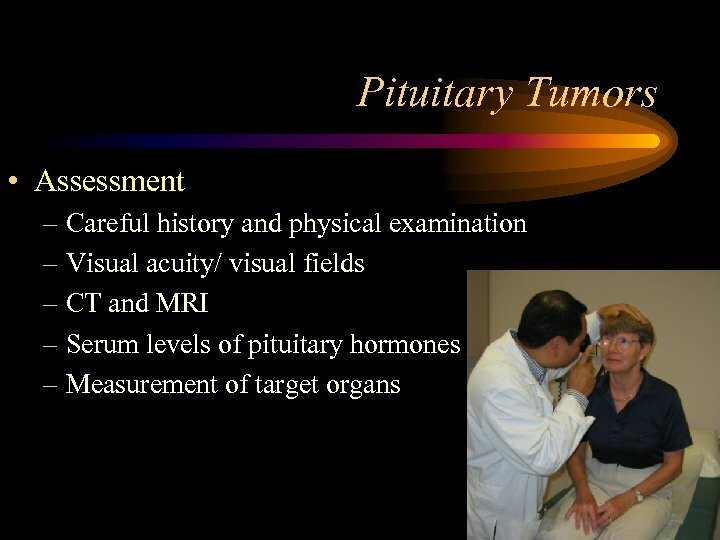 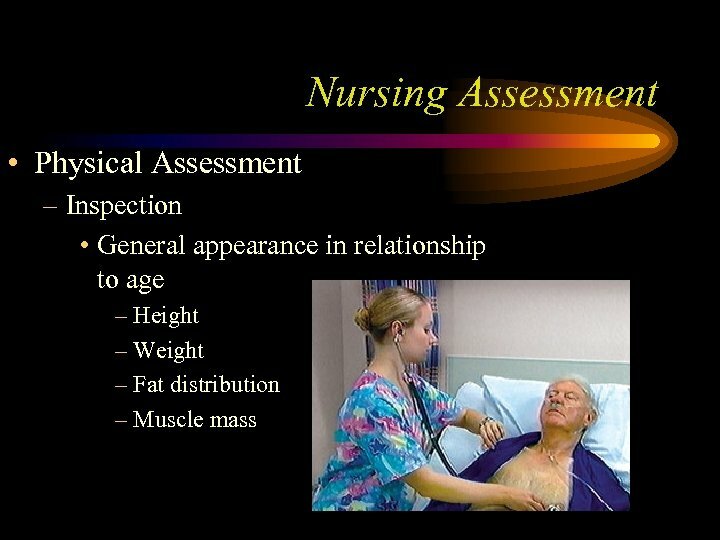 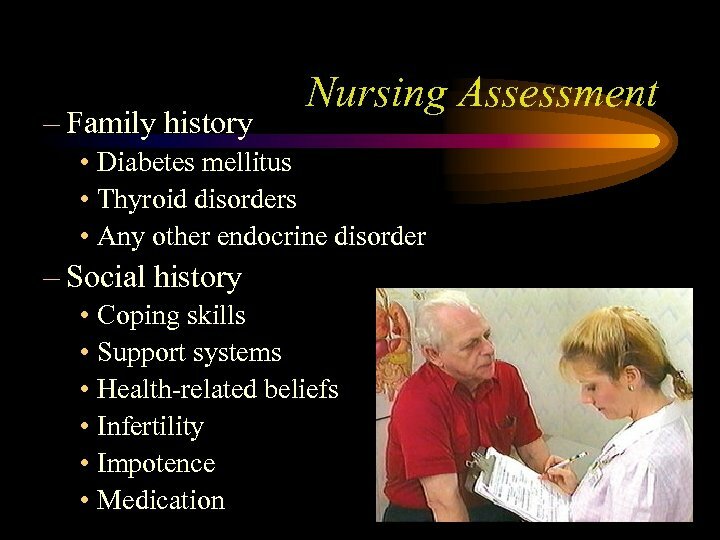 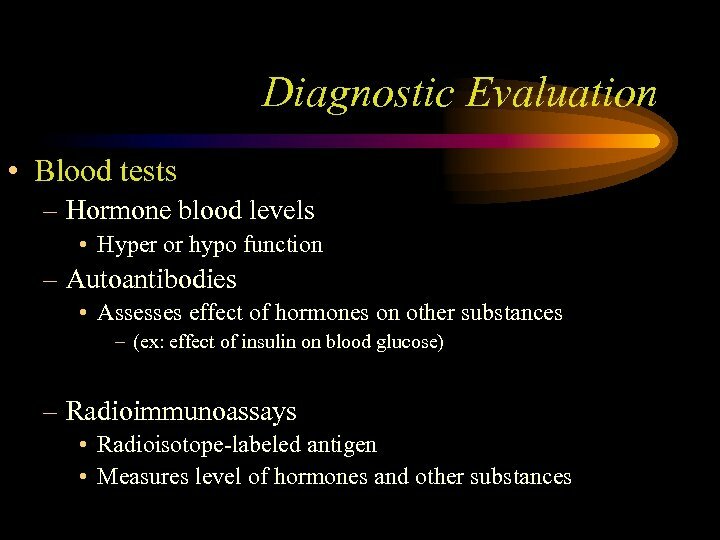 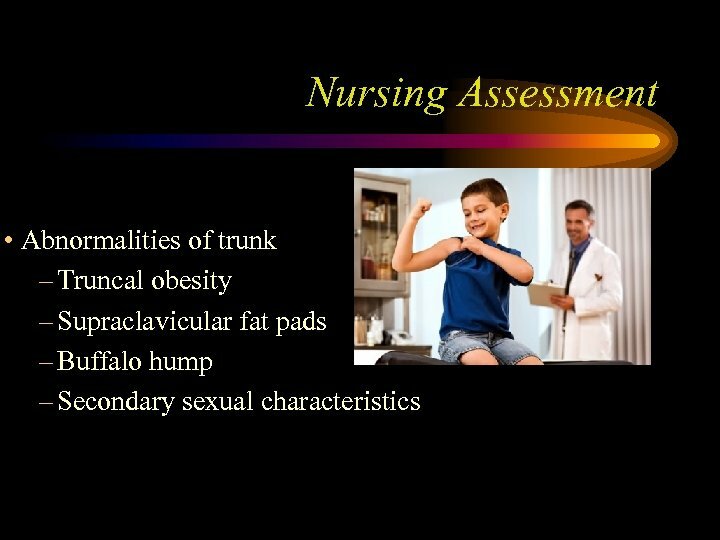 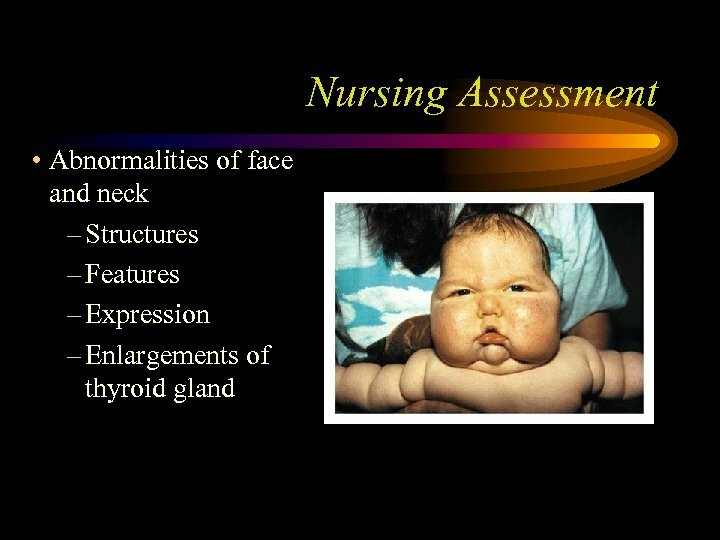 • Obtain a health history and physical assessment. 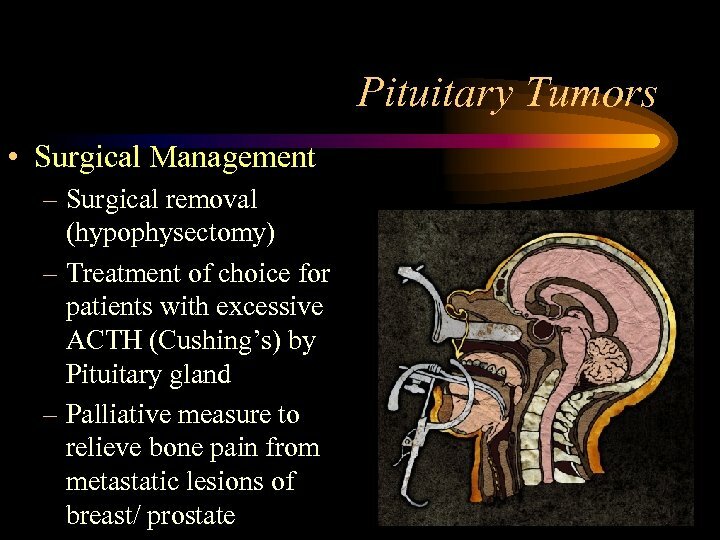 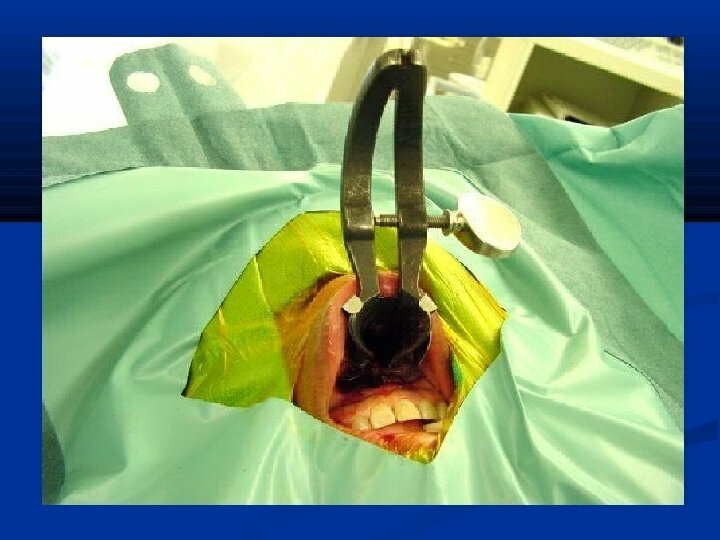 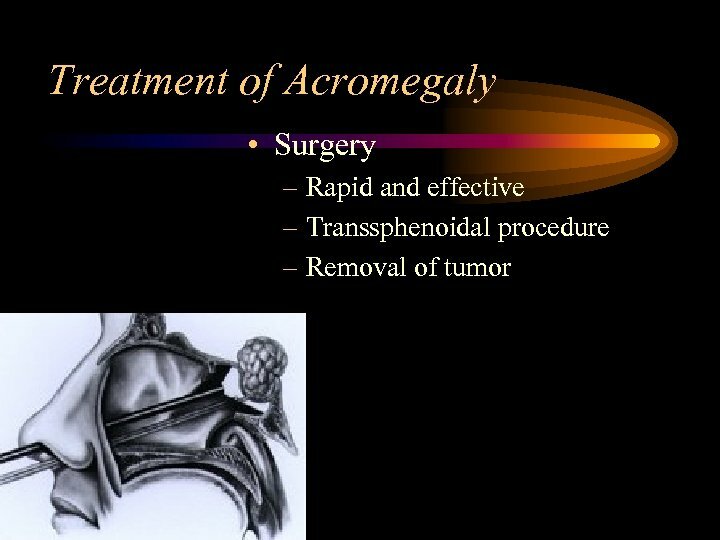 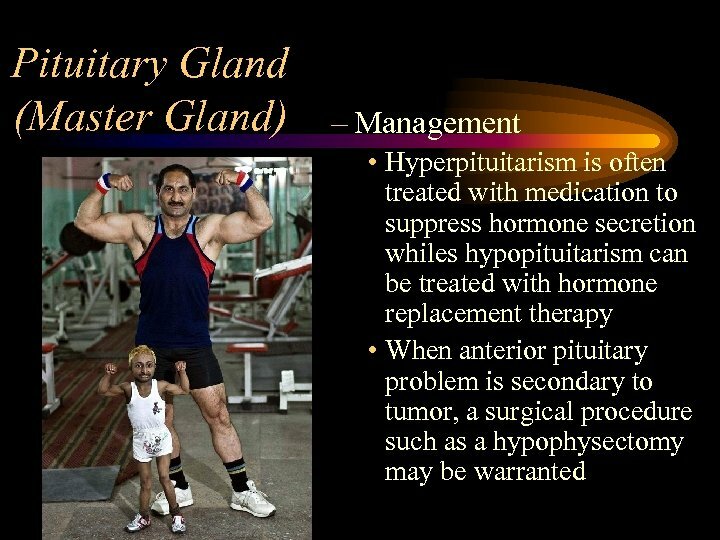 • Explain necessary postoperative activity restriction. 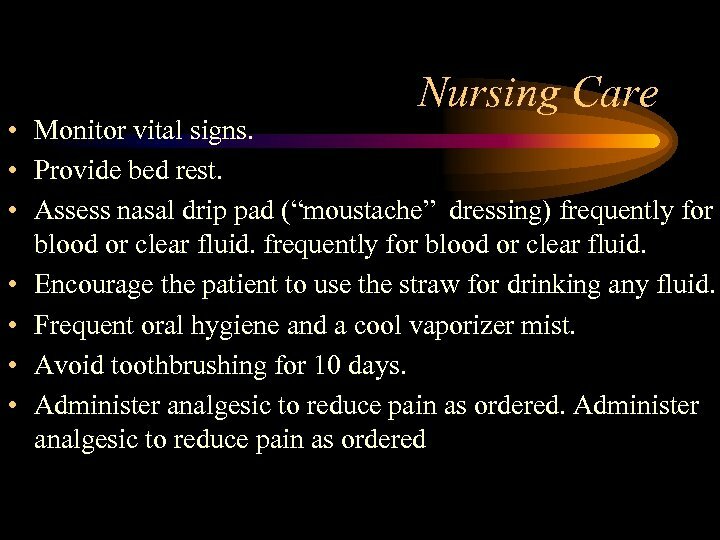 PRE OPERATIVE CARE • Teach respiratory hygiene procedures such as coughing, and deep breathing exercise • Administer intravenous antibiotic as ordered. 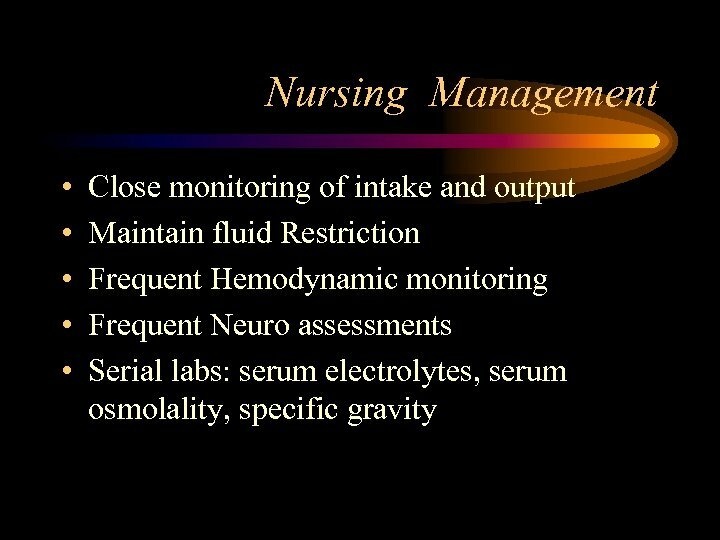 • Keep patient NBM. 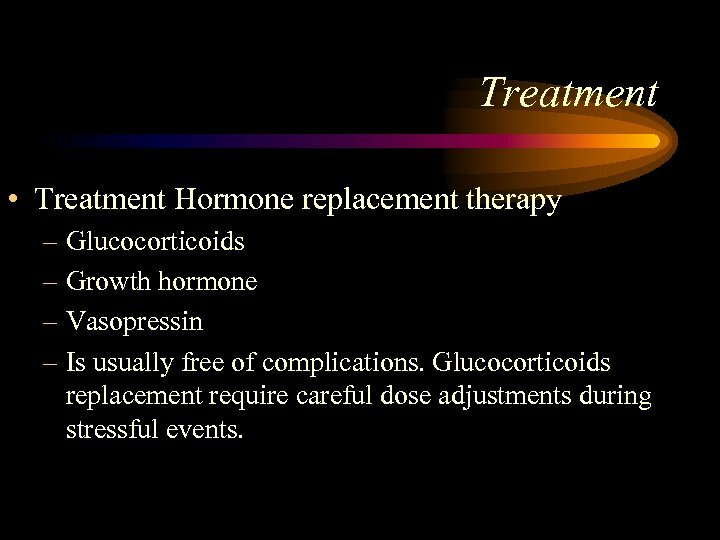 Treatment • Treatment Hormone replacement therapy – Glucocorticoids – Growth hormone – Vasopressin – Is usually free of complications. 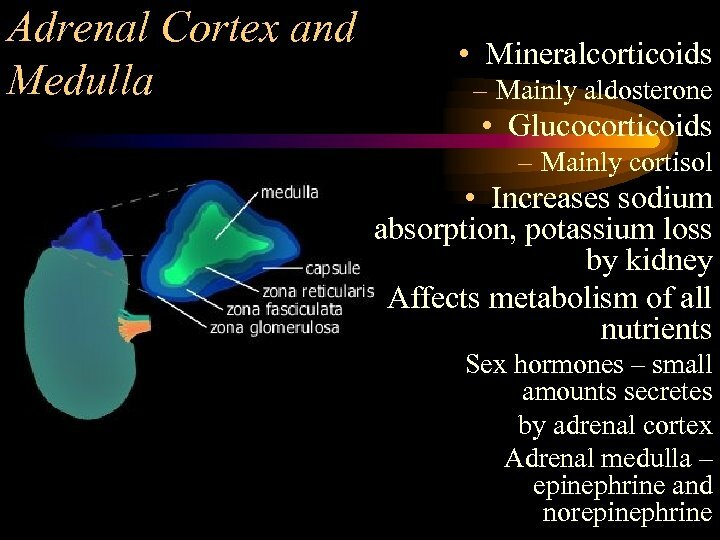 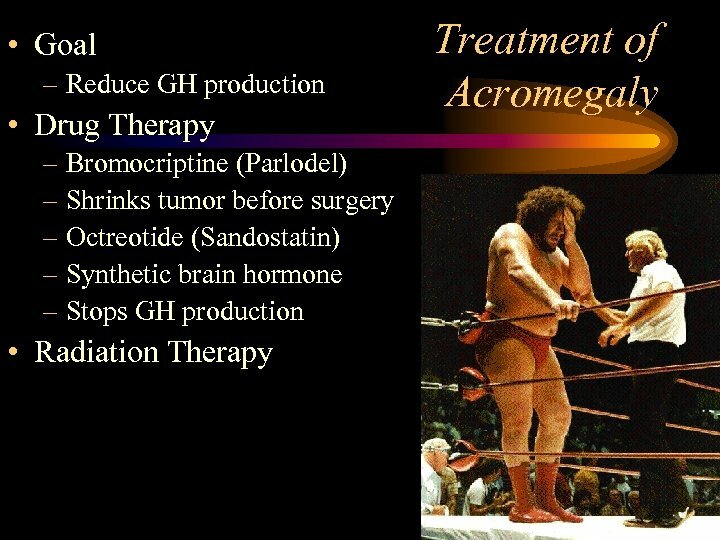 Glucocorticoids replacement require careful dose adjustments during stressful events. 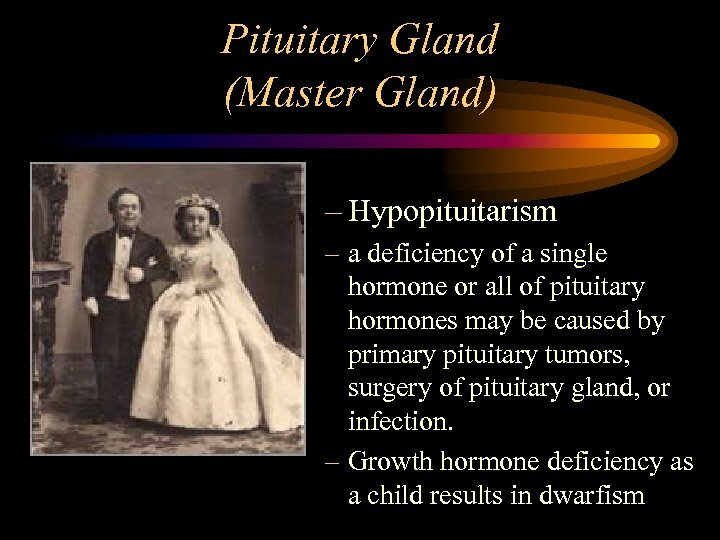 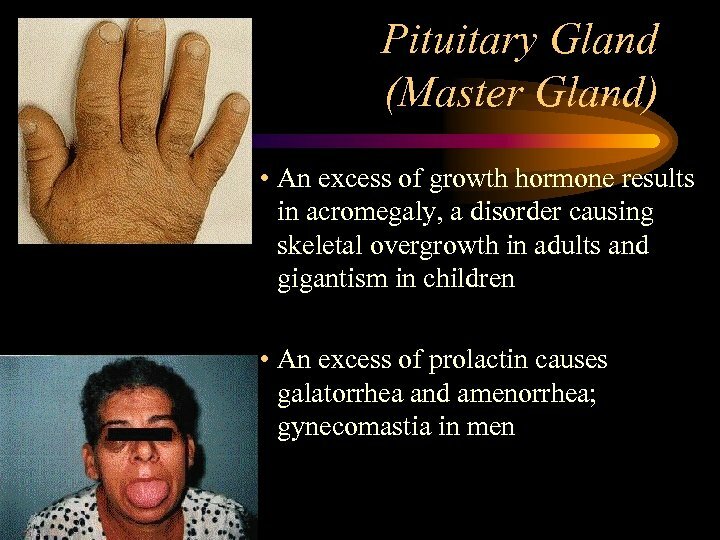 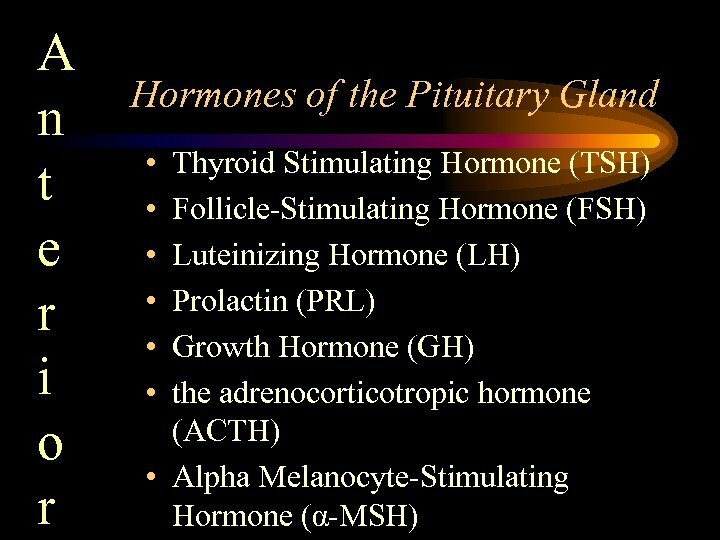 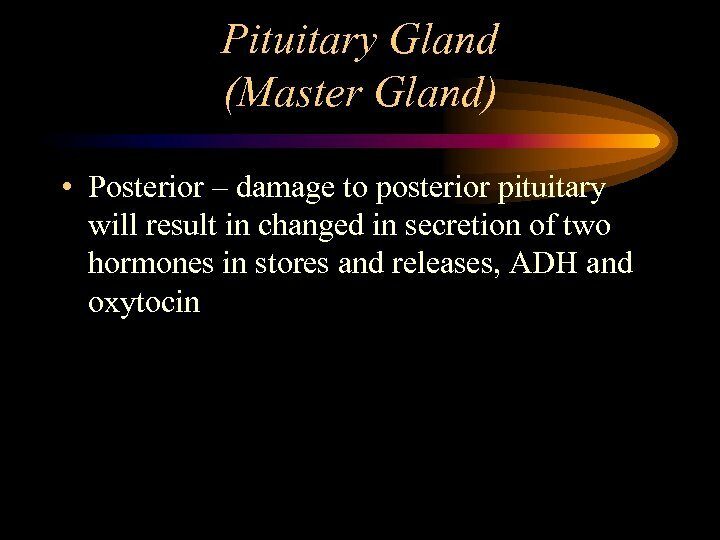 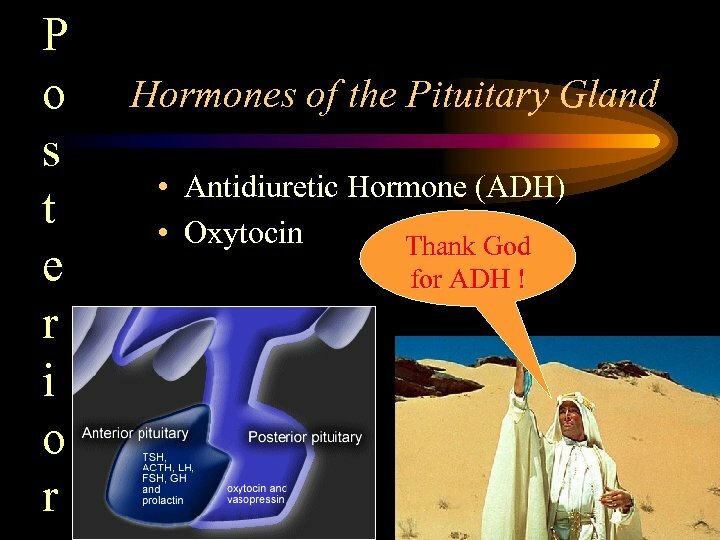 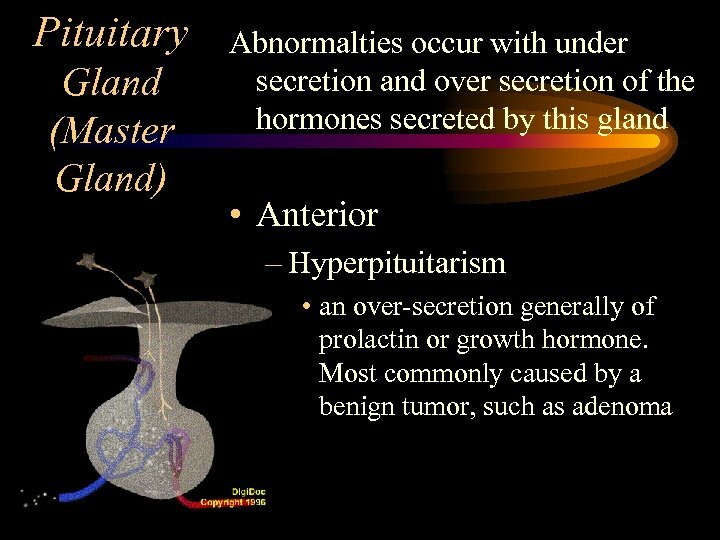 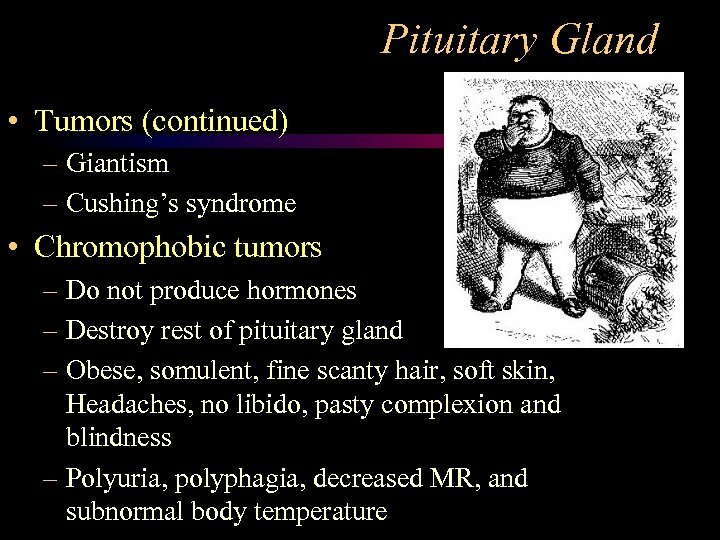 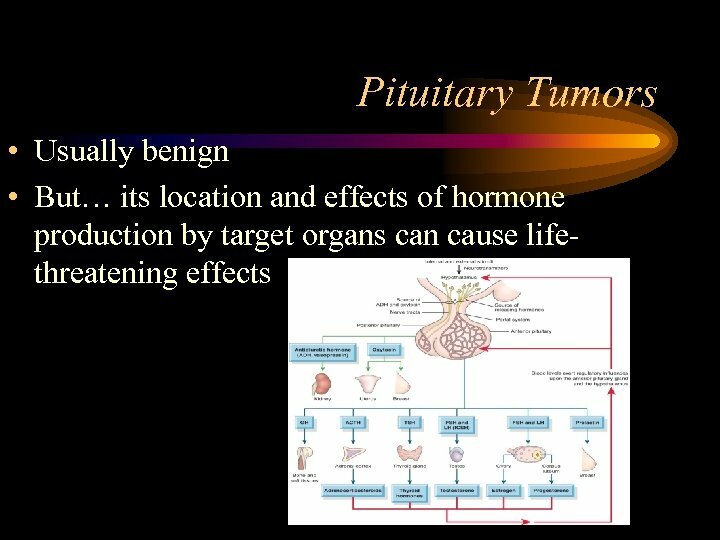 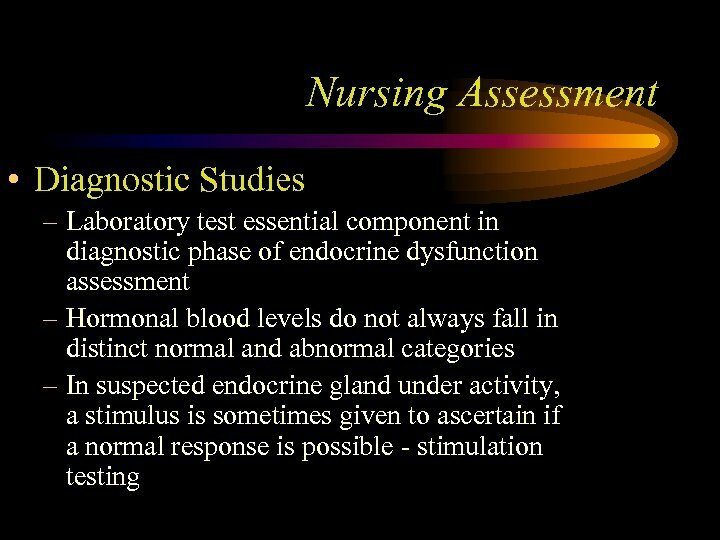 P o s t e r i o r Hormones of the Pituitary Gland • Antidiuretic Hormone (ADH) • Oxytocin Thank God for ADH ! 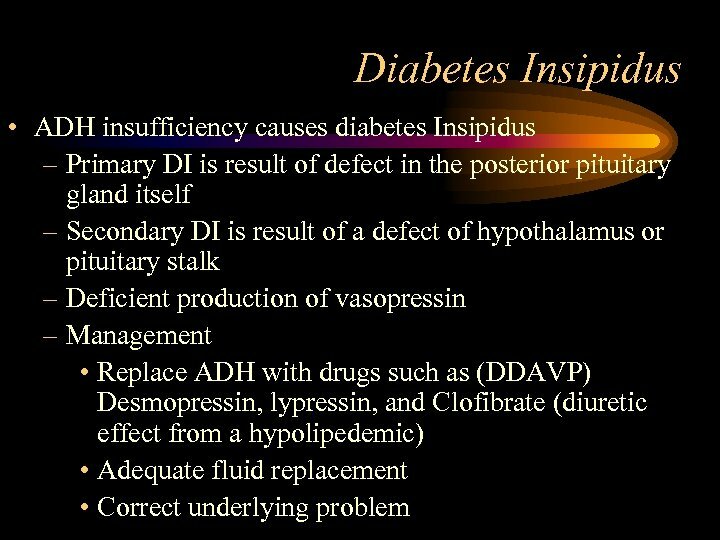 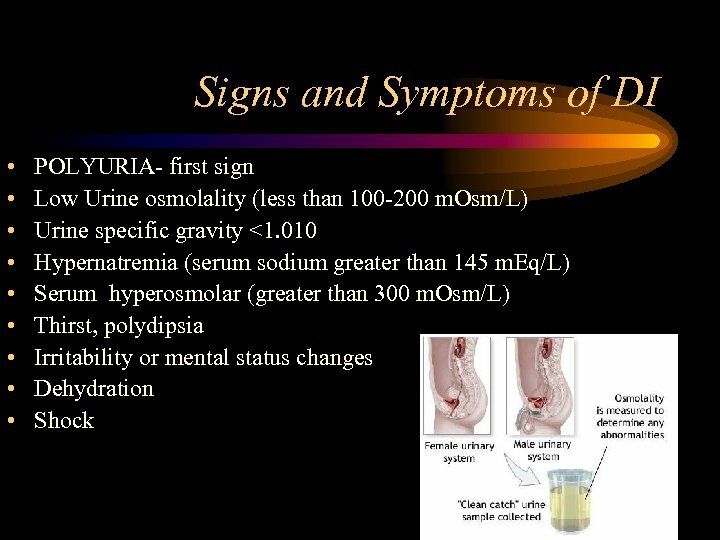 Diabetes Insipidus • DI is a clinical condition due to a deficit of ADH or due to the kidney’s resistance to the effects of ADH. 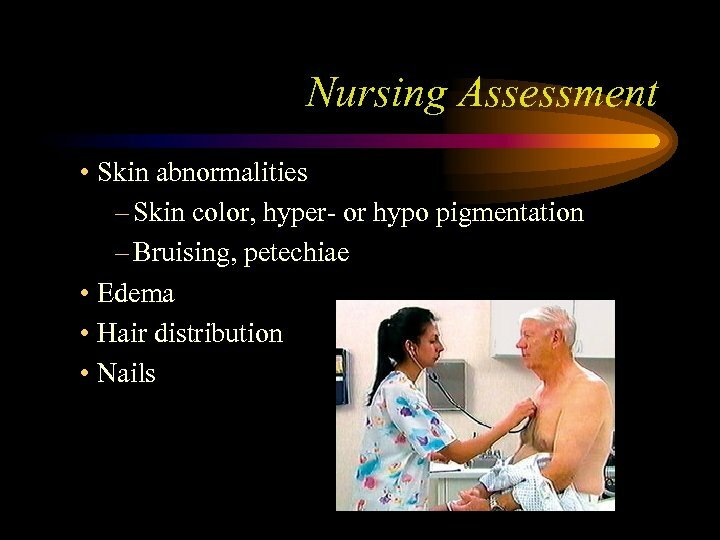 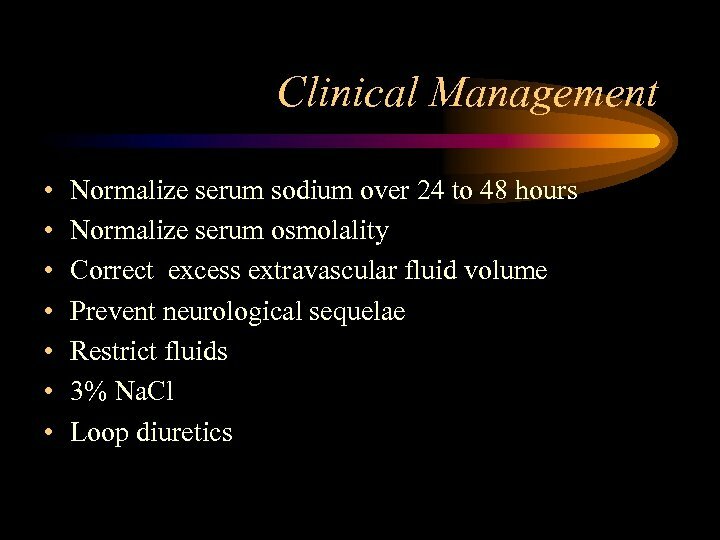 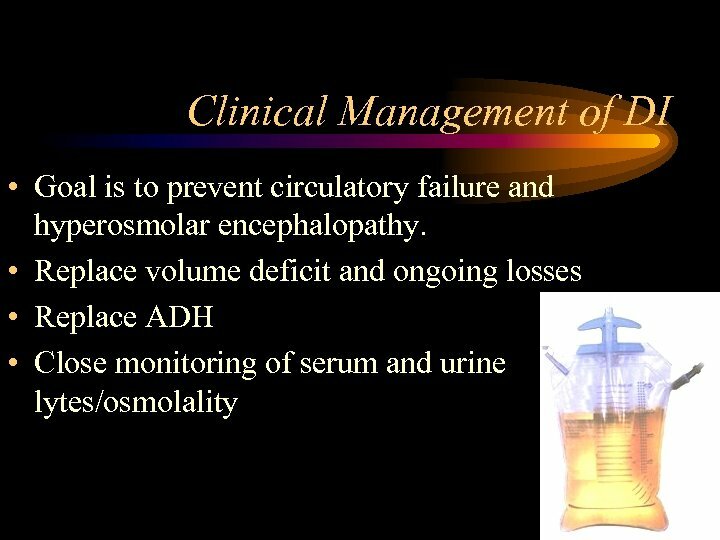 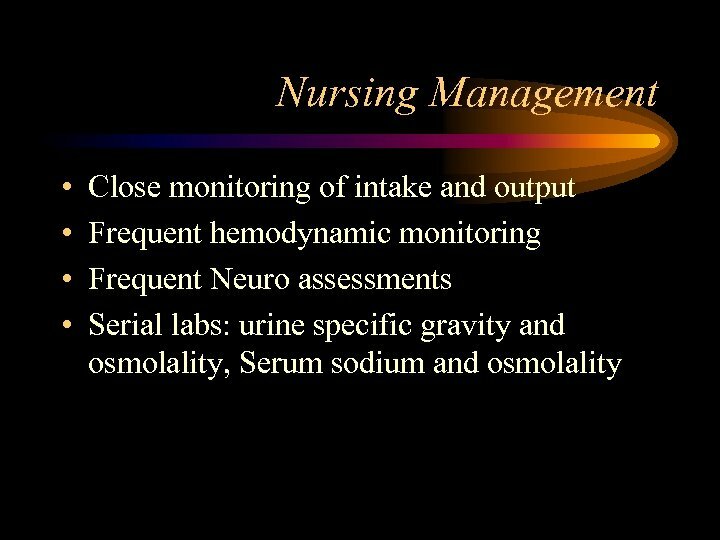 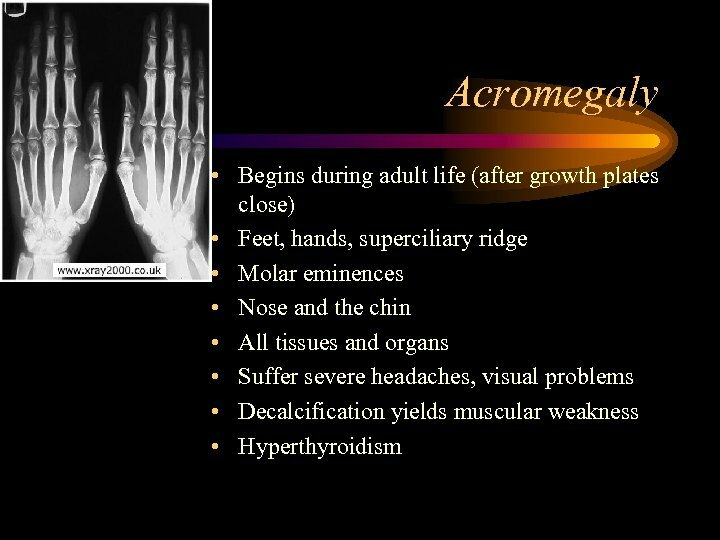 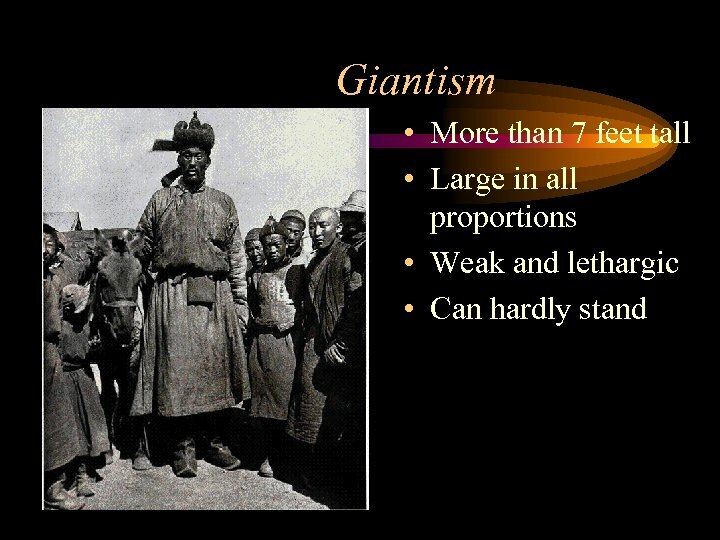 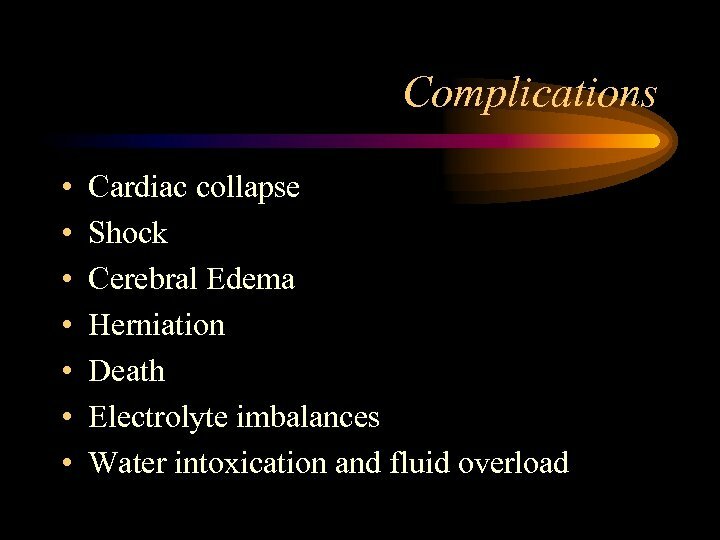 • DI may be central (neurogenic) or nephrogenic. 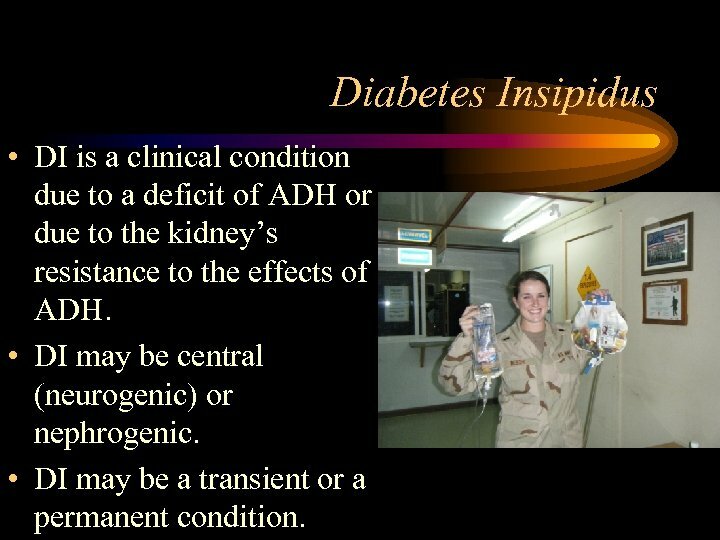 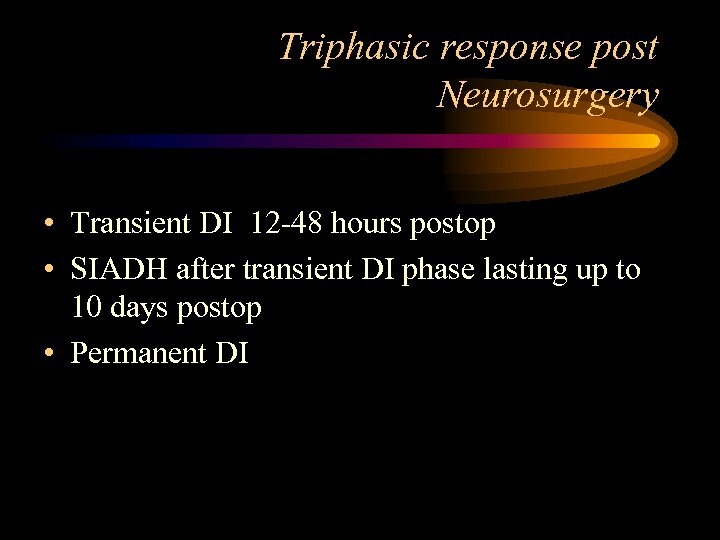 • DI may be a transient or a permanent condition. 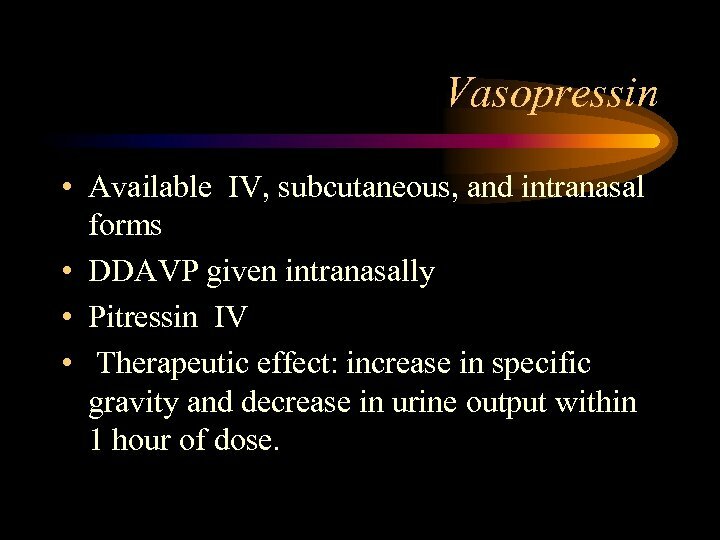 Vasopressin • Available IV, subcutaneous, and intranasal forms • DDAVP given intranasally • Pitressin IV • Therapeutic effect: increase in specific gravity and decrease in urine output within 1 hour of dose. 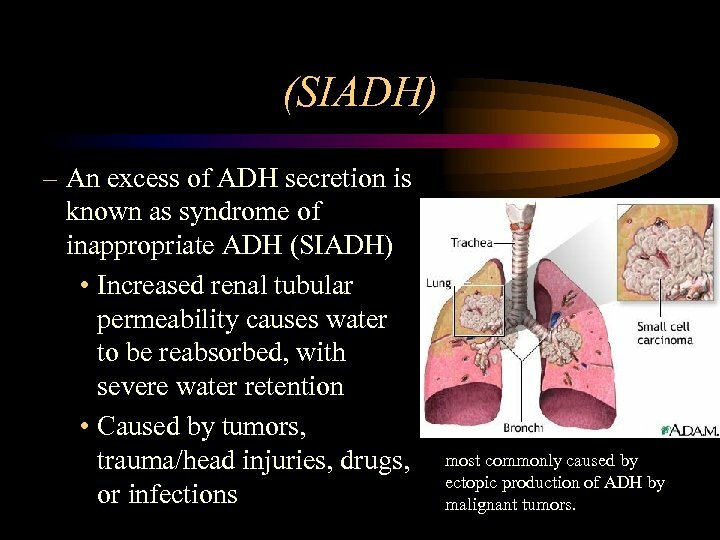 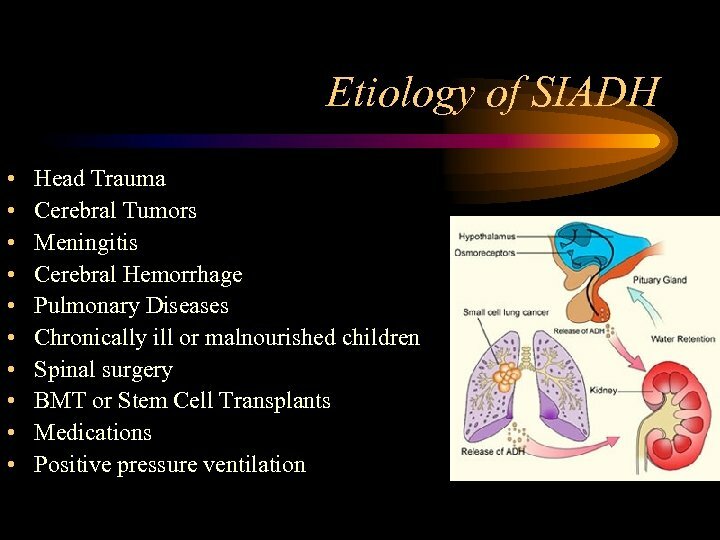 (SIADH) – An excess of ADH secretion is known as syndrome of inappropriate ADH (SIADH) • Increased renal tubular permeability causes water to be reabsorbed, with severe water retention • Caused by tumors, trauma/head injuries, drugs, or infections most commonly caused by ectopic production of ADH by malignant tumors. 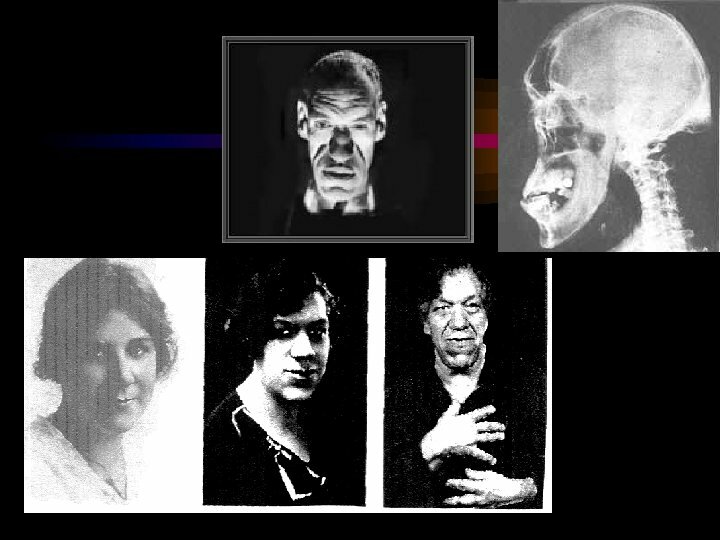 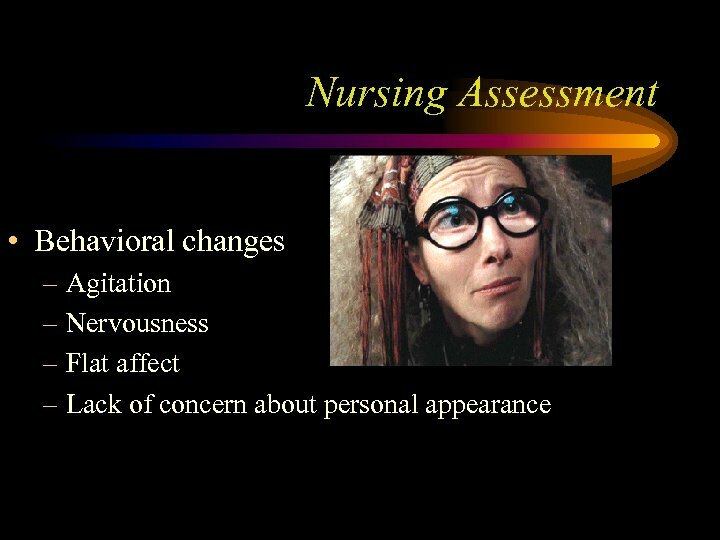 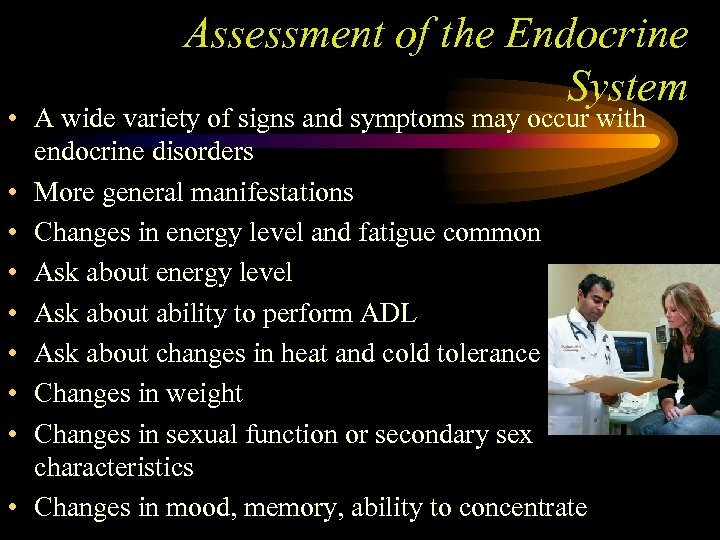 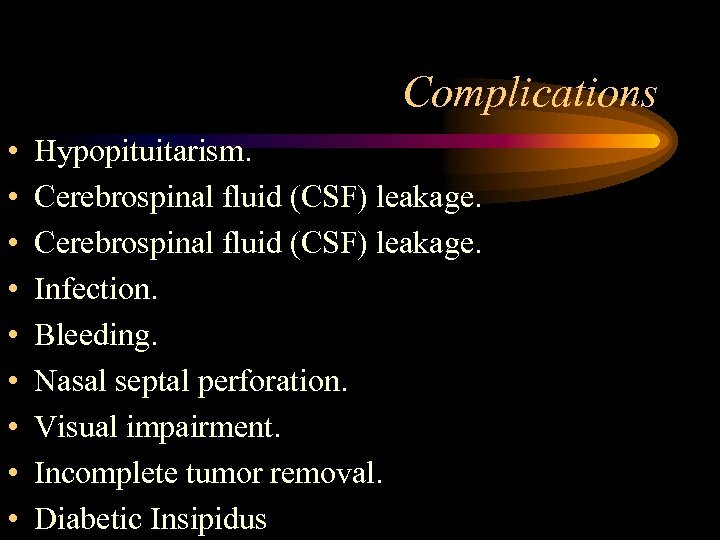 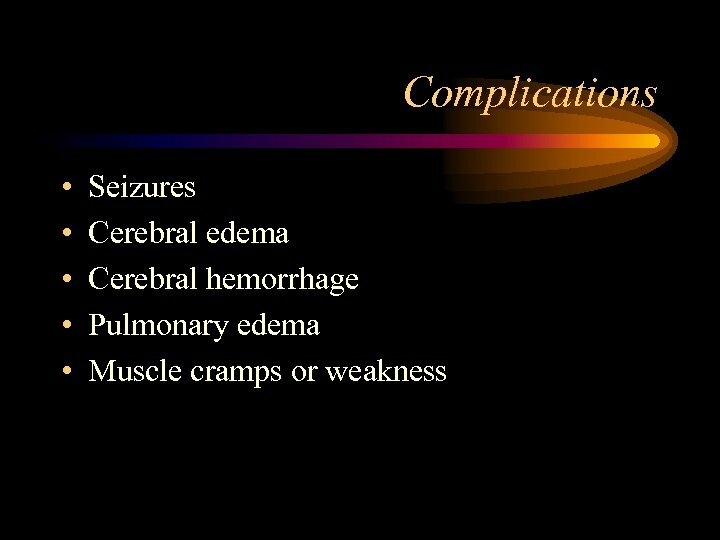 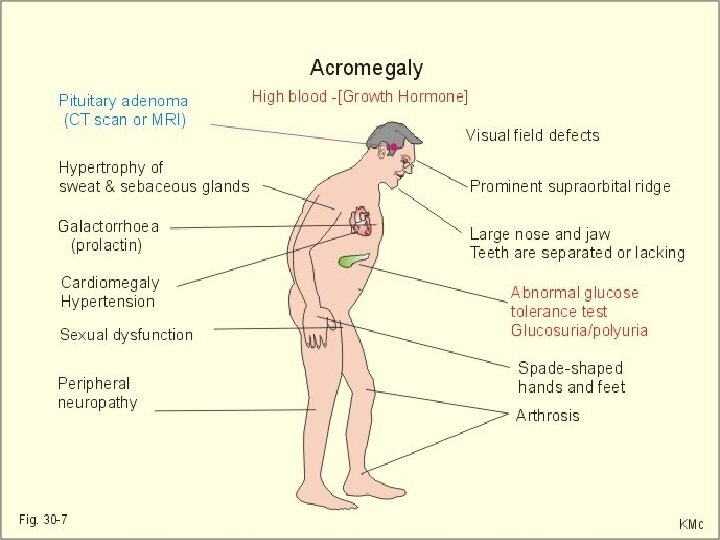 Syndrome of Inappropriate Anti. 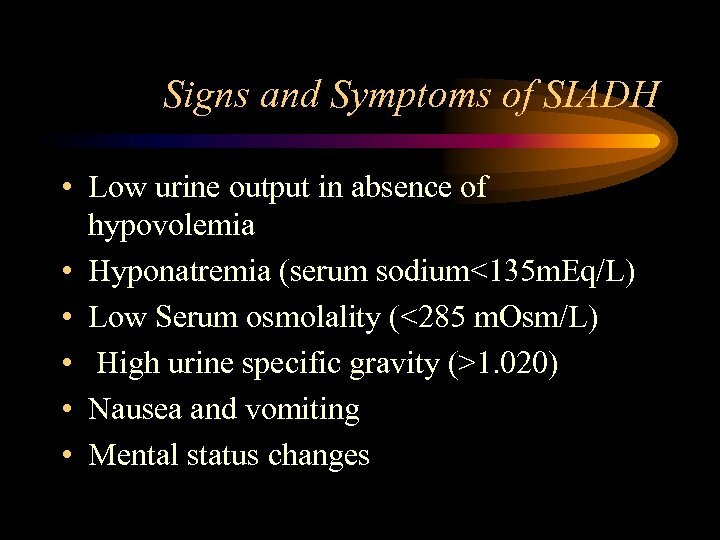 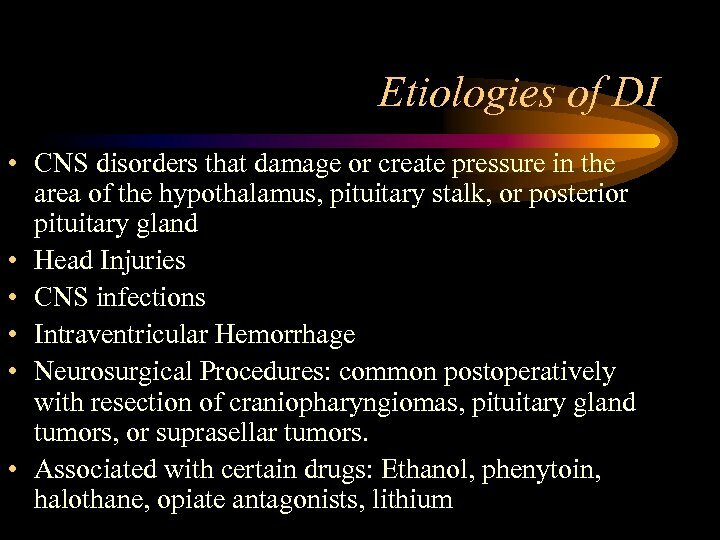 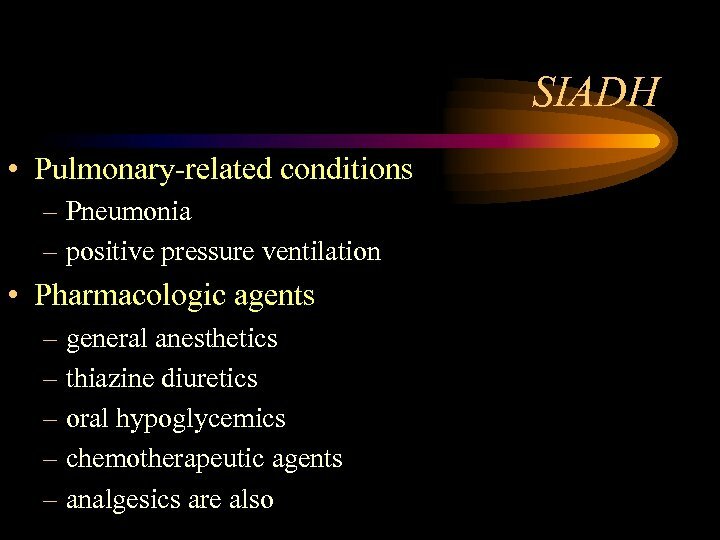 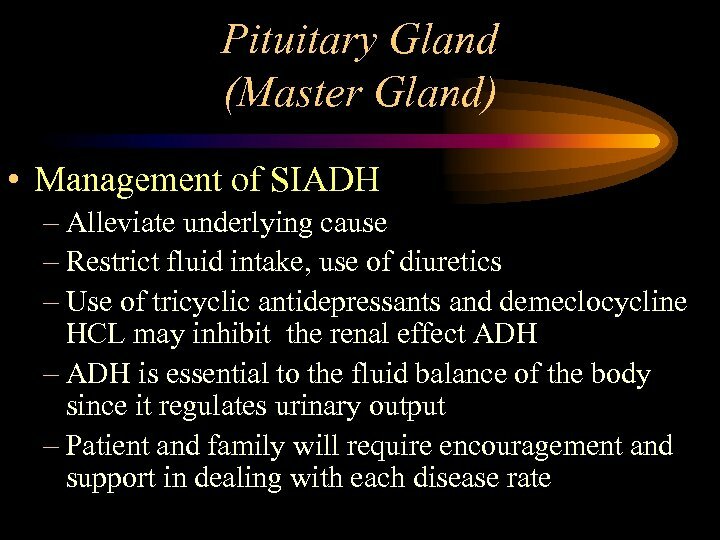 Diuretic Hormone • SIADH is a clinical condition involving and excess of ADH secretion. 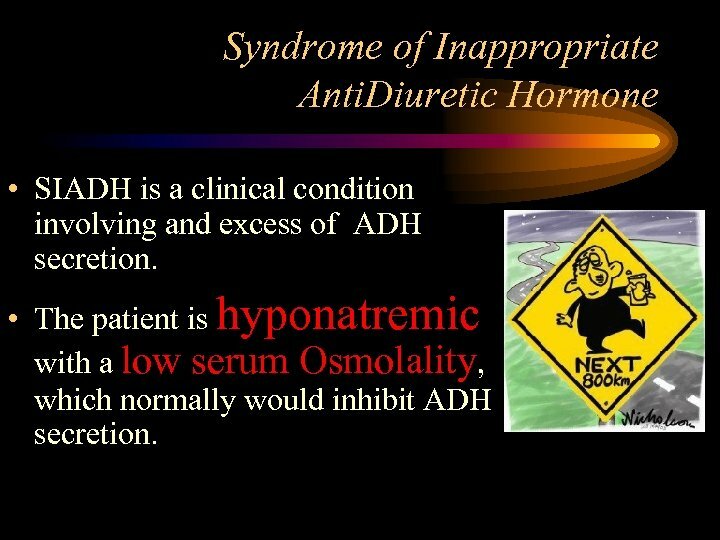 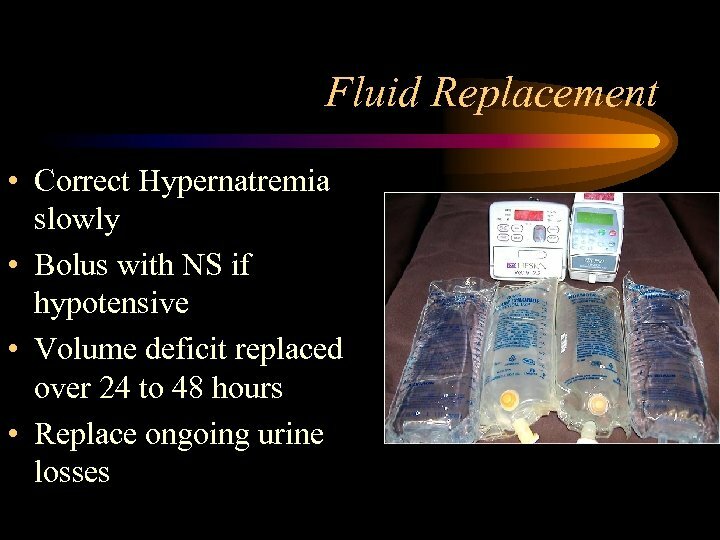 • The patient is hyponatremic with a low serum Osmolality, which normally would inhibit ADH secretion. 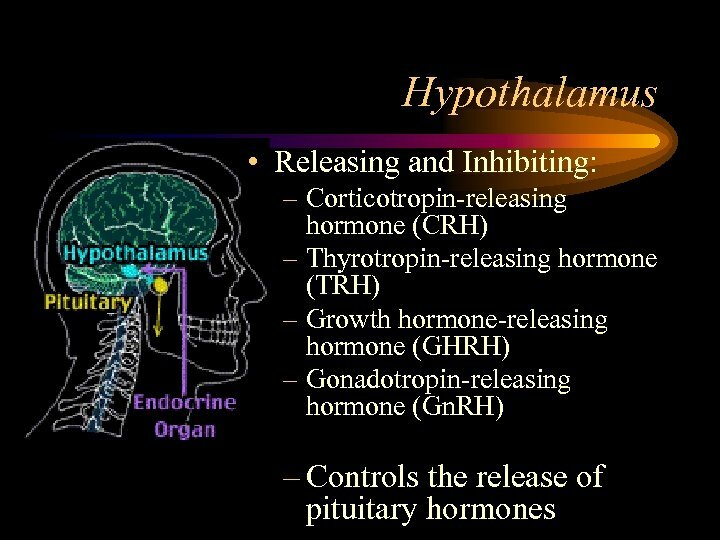 Hypothalamus • Neurosecretory neurons, the neurons within the hypothalamus - - secrete hormones that strictly control secretion of hormones from the anterior pituitary. 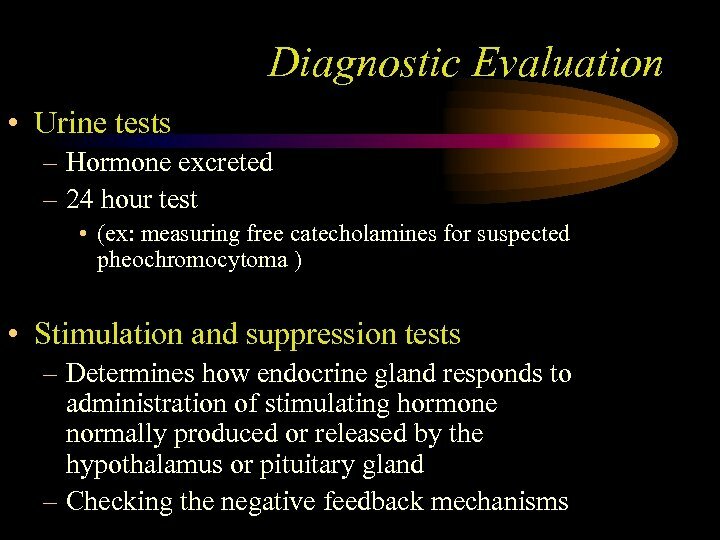 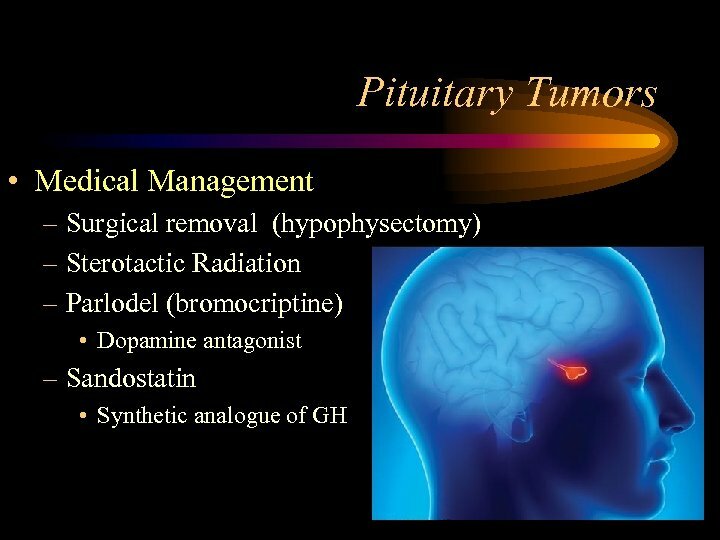 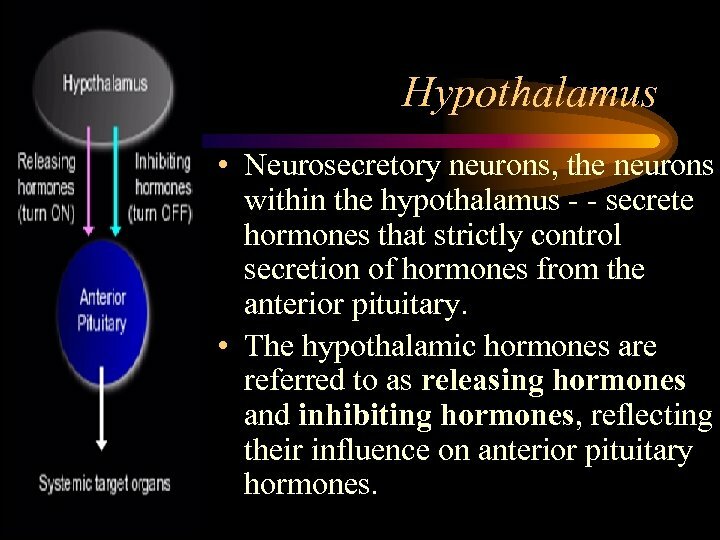 • The hypothalamic hormones are referred to as releasing hormones and inhibiting hormones, reflecting their influence on anterior pituitary hormones.